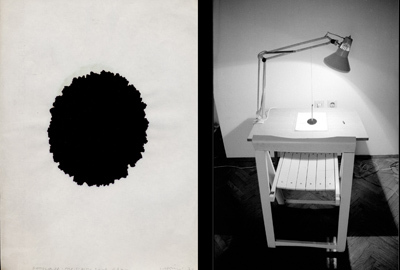 The felt tip pen is hung from a lamp so that it touches the surface of the paper left on the table. As the time passes the ink from the pen slowly transfers to the paper making at first a small dot, then a dot becomes bigger, and bigger, and�? ?